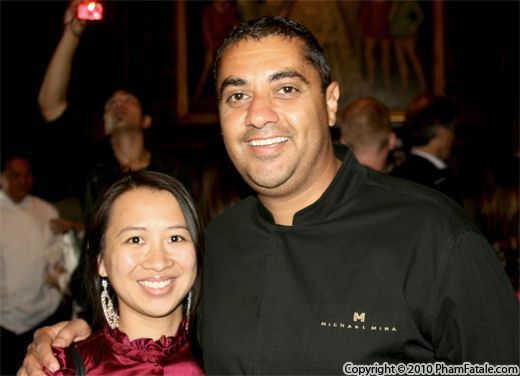 I recently met Chef Michael Mina for the first time at a SF Chefs 2010 event. He spoke on a panel aptly titled “A View from the Top.” I had heard a lot about Chef Mina’s work in the past, and given his resume, I was a bit nervous about approaching him afterward. After all, this is a man who has earned two Michelin stars, won the coveted James Beard Award and owns numerous restaurants across the country. One might imagine that a person with such an amazing list of accomplishments would be an intimidating and imposing figure, but when I approached him, his natural charm and kindness immediately made me feel at ease. Because of his busy schedule, I was ecstatic and very thankful that Chef Mina agreed to take time to answer a few questions. This isn’t the first time he has been interviewed, so I thought it would be fun to focus on the role food plays in his personal life. So without further ado, enjoy the interview. And do try to get out to one of Chef Mina’s restaurants if you can. There’s a good chance that there is one close to where you live. What's your earliest memory of food? The food memory I always think fondly of was the first time my family traveled to San Francisco. I was about 12 years old and I’d wake up every morning and have a croissant and cappuccino (it was the first time I’d ever had a croissant). It was so good, and I thought I was so cool! I fell in love with San Francisco and food on that trip. Who cooks at your home? What's a typical meal at the Michael Mina household? Both my wife and I share cooking responsibilities. I really love to cook for my family on the weekends when I’m home and have lots of time to spend with them. Our house usually turns into a large backyard get -together with lots of food, family, friends and fun. What was the first dish you made for your wife? I created a dish for her, on our Hawaiian honeymoon – and it’s now a Michael Mina classic, served at many of my restaurants. 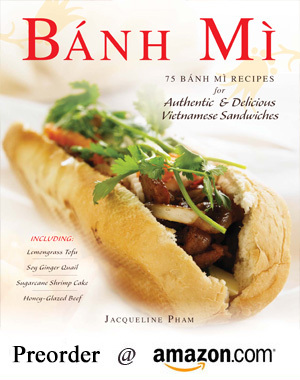 I wanted to make my new bride a special dish that included all of her favorite foods. The Caviar Parfait was born. It’s a love letter to my wife. 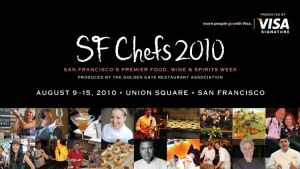 When we met at the SFChefs event, I noticed how comfortable your sons were with food. Do you cook with your children? What types of dishes do you make with them? My boys are very comfortable in and around kitchens and restaurants. They have been coming to work with me at the restaurants since they were very young. At home right now, we’ve been mastering the art of sushi together. Do they want to go into the restaurant business? Would you encourage them? I want both of my boys to grow up happy, healthy, productive members of society and find a career that is fulfilling to them. Whether it’s the restaurant, hospitality or culinary world will be up to them. Where do you and your family go out to eat? We really like dining at Osteria Stellina right now. It’s in Point Reyes and the entire menu is created from local ingredients. The dishes at your restaurants are over the top decadent, but many have their roots in comfort food classics (mac & cheese, fried chicken, pot pies etc.). Given that, does your home cooking style ever inspire the meals you serve at your restaurants? Many of the comfort food dishes you see on my menus stem directly from how I cook at home for my family. The boys have gone in stages with what they like to eat – it was mac and cheese for a while, then corn dogs and root beer floats. I took a step back from those classic childhood favorites and thought, why not for adults? To tempt adult palates, mac and cheese became truffle mac and cheese; corn dogs are now lobster corn dogs in the restaurants; and the classic root beer float was updated with root beer sorbet and sassafras ice cream. 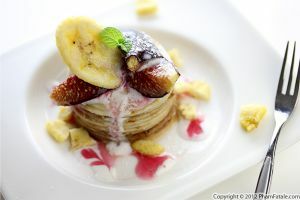 What is your process, from mind to plate, for innovating new dishes? You’re famous for preparing the same ingredient different ways; how do you decide on flavor combinations? 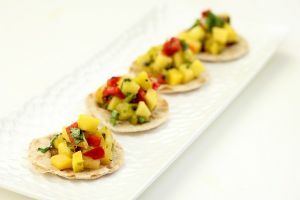 I want to always excite guests’ palates with different flavors, flavor combinations. I enjoy dining out, tasting other ethnic cuisines, learning new ways to pair ingredients. 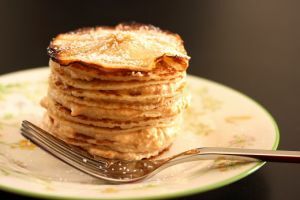 It can take many tries with a single dish to get the combination of flavors just right, or it happens the first time you create a new recipe. That is what keeps me going and is really fun for me. 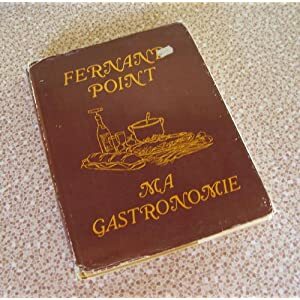 The original Fernand Point book. 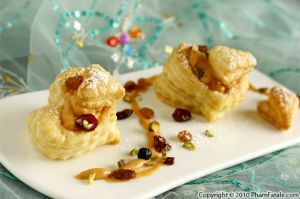 I am really into Middle Eastern cookbooks right now and learning more about my heritage. Do you have any tips for home-cooks on how to improve their cooking? 1: When making mashed potatoes, always use a potato ricer. 2: When sautéing fish or steaks in hot oil, always flip the filet AWAY from you, towards the back of the stove, to avoid splashing hot grease on yourself. 3: when sautéing fish or meat, towards the end of the cooking time, crush a clove of garlic (in the skin) and toss it into the pan along with a sprig of fresh thyme and a tablespoon of butter. The butter will brown lightly and pick up the flavor of the thyme and garlic. Baste the fish or meat with this flavorful butter as the protein finishes cooking. I'm sure it's intimidating for people to cook for you (it would be for me!). Do non-chefs invite you often to dinner parties? I do receive invites, and I mysteriously somehow end up in the kitchen. I just can't help it. It’s fun for me and helps me to really connect with the hosts. I have had people try to protect their recipes from me - it’s always funny when that happens. 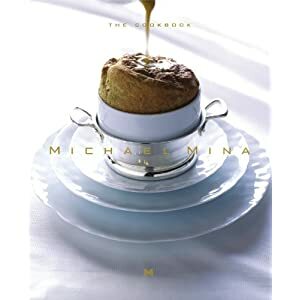 It seems like you've accomplished everything in the food industry: you've earned two Michelin stars, own restaurants all over the country and have released a lovely cookbook. What's next on your to-do list? I have been very fortunate to make a living doing what I love to do; this is my passion. 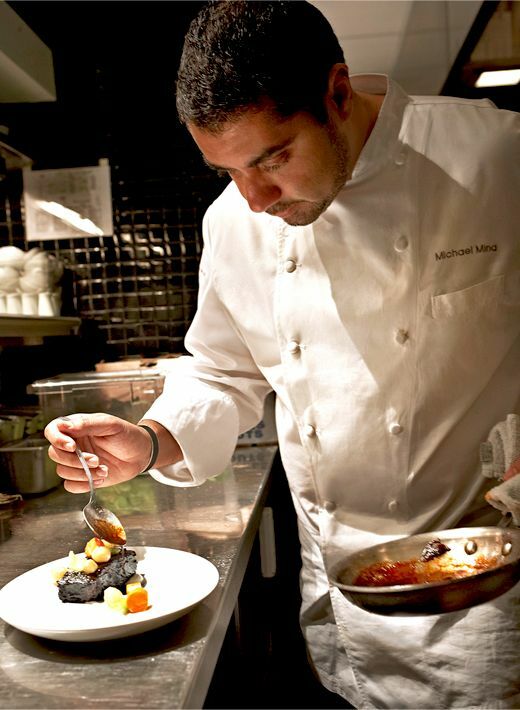 I am focused on re-opening MICHAEL MINA at 252 California Street this fall. It is the old Aqua space in the Financial District. I really consider this a ‘coming home’ as I grew up there, started my career there. It is a very personal endeavor. At the same time, I’ll be opening a new restaurant in the space that MICHAEL MINA originally opened in at The Westin St. Francis on Union Square. That will become BOURBON STEAK. It’s my take on a classic American steakhouse. MICHAEL MINA (in the legendary Westin St. Francis) in San Francisco, CLOCK BAR in San Francisco, RN74 in San Francisco, ARCADIA in San Jose, XIV (14) in Los Angeles, STONEHILL TAVERN in Dana Point, SEABLUE at MGM Grand in Las Vegas and SEABLUE in Atlantic City; BOURBON STEAK and SALTWATER in Detroit, BOURBON STEAK Miami and BOURBON STEAK Scottsdale, BOURBON STEAK Washington D.C., AMERICAN FISH at Aria, City Center in Las Vegas as well as STRIPSTEAK at Mandalay Bay in Las Vegas. 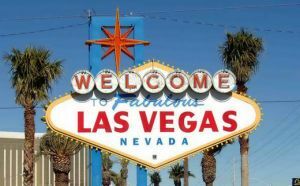 Mina also remains Managing Chef of MICHAEL MINA Bellagio (formerly Aqua Bellagio) and NOBHILL TAVERN at MGM Grand, both in Las Vegas.